Melatonin As Potent as Letrozole in Inhibiting Aromatization of Testosterone to Estrogen - This Raises the Question: Is a Lack of / Bad Sleep to Blame for Breast Cancer?! Sleeping for 7-8h w/out interruption in a pitch black room to max. 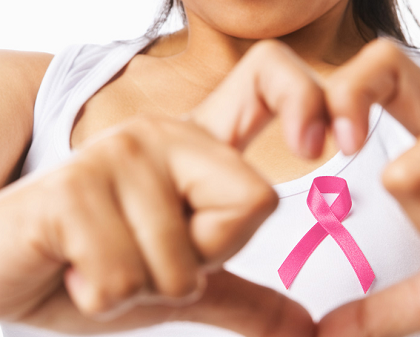 your melatonin is the best breast cancer prevention. It may sound hilarious to the next best average Joe, but the study results Suthat Chottanap and colleagues from the Chulabhorn Graduate Institute are about to present in one of the next issues of Toxicology in Vitro confirm what SuppVersity readers already knew: It's more than likely that there is a direct link between a lack of quality sleep as people who are working shift works have it and the risk of breast cancer. The latter increases in women who do not sleep during the period of the night when melatonin levels are typically at their highest by ~14% (Davis. 2011), an observation that appears only logical in view of what I am about to tell you today. Among various naturally occurring, biologically active compounds, resveratrol and melatonin have been suggested to act as aromatase inhibitors, which make them potential candi-dates in hormonal treatment of breast cancer. These previous observations were the actual reason why Suthat Chottanap and colleages set up a handful of petri-dishes in which they a co-culture model primary human breast adipose fibroblasts (BAFs) with testosterone and melatonin or resveratrol. It has long been known that these fat cells from the breast tissue can convert testosterone to estradiol, and do thus contribute to the estrogen receptor-mediated growth and proliferation of of breast cancer T47D cell proliferation. As the data in Figure 1 shows, this nasty side effect of the presence of testosterone and the fat aromatase factories, the BAFs, was countered by both melatonin and resveratrol, albeit at different levels of the "drug". Now that alone is pretty astonishing. In the end, you could argue, however, that it would only confirm what we already knew: Resveratrol is a much less potent "wonderdrug" than the hype in mainstream media makes it look like. What really makes the results outstanding, though, is that melatonin was as potent as letrozole, the most potent antiaromatase inhibitor the publicly available pharmaceutical arsenal knows in suppressing cell proliferation, estradiol (E2) production and gene expression of CYP19A1, pS2andKi-67. No wonder that the Thai authors of the paper at hand are convinced that "melatonin clearly offers potential advantages for breast cancer treatment". And this assumption is supported by both the often-reported association between increased breast cancer risk and shift work and the inverse correlation between the risk of breast cancer and urinary melatonin levels Eva S. Schernhammer and Susan E. Hankinson report in a 2005 paper - a correlation, which remained significant even when the women who had a history of night-shift were excluded! Learn how light synchronizes your circadian rhythm and protects you against breast cancer & obesity. Bottom line: It's too early to tell anyone to consume melatonin supplements as an effective means to counter the development of breast cancer. The results of the study at hand do yet confirm that sleep and in that sleep during a time of maximal melatonin production, which is at night or in a pitch black room is of paramount importance to your health. 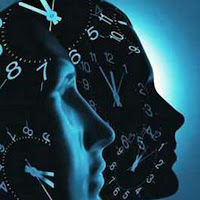 While we are waiting for the first rodent and human studies to confirm a systemic anti-aromatase effect of melatonin, I would thus suggest that you take another look at the SuppVersity Circadian Rhythm Series, all the articles of which you can find @ http://suppversity.blogspot.com/feeds/posts/summary/-/crs/?max-results=9999 if you are using an RSS compatbile browser or a plugin for chrome. Chottanapund, Suthat, et al. "Anti-aromatase effect of resveratrol and melatonin on hormonal positive breast cancer cells co-cultured with breast adipose fibroblasts." Toxicology in Vitro (2014). Davis, Scott, Dana K. Mirick, and Richard G. Stevens. "Night shift work, light at night, and risk of breast cancer." Journal of the national cancer institute 93.20 (2001): 1557-1562. Schernhammer, Eva S., and Susan E. Hankinson. "Urinary melatonin levels and breast cancer risk." Journal of the National Cancer Institute 97.14 (2005): 1084-1087.